Frankenfest 2012 | NOVA Cool Cats Special Hockey, Inc.
Once again Frankenfest was such a fun event this year. The Cool Cats were joined by their old teammate, John Bolton, who sadly moved to Tampa earlier this year. Seeing Scott and John reunited both on and off the ice served as a great reminder to everyone about the myriad of benefits our kids get from playing on the Cool Cats. Scott and John are best friends and great teammates – they complement each other on and off the ice. The Cool Cats played, and won, three games. The first game was on Saturday at 5 pm. Most of the Cool Cats traveled up to New Jersey that morning and were ready to take the ice after the drive. 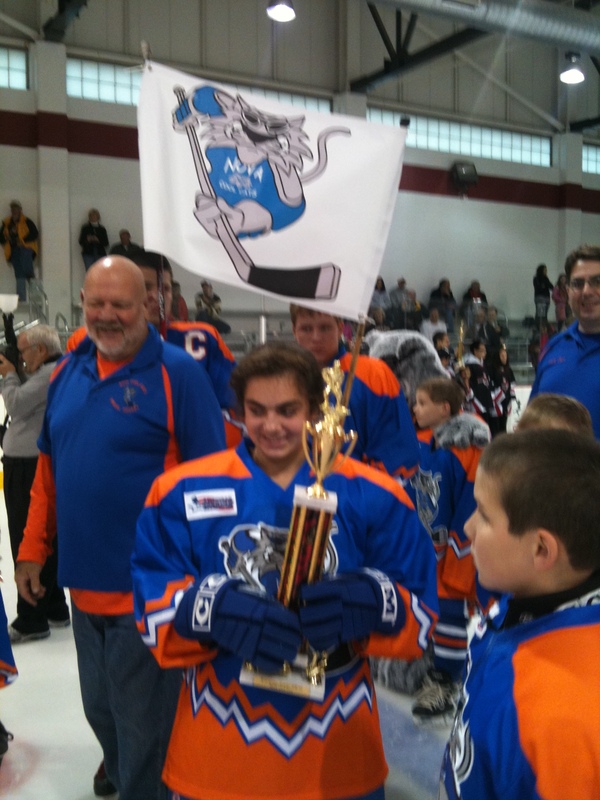 Unfortunately, the Cool Cats were without a goalie during the tournament, but in a true testament to the wonderful community of special hockey, other teams lent us a goalie if their team was not playing. To see these young gentlemen get their pads on and be as enthusiastic about playing goalie for the Cool Cats as they are about playing for their own team is such a treat to see. One of the goalies was so happy to play for us that he volunteered to play in our next game, but his mom reminded him that his own team had a game scheduled for that same time. This is one of the reasons we love coming to Frankenfest every year! For the three games, I believe Scott had at least a hat trick in every game! Mike also netted a few goals as well. All three lines looked really good playing together – this is our third Frankenfest and to watch all these kids develop their skills over the years has been so fun to watch! 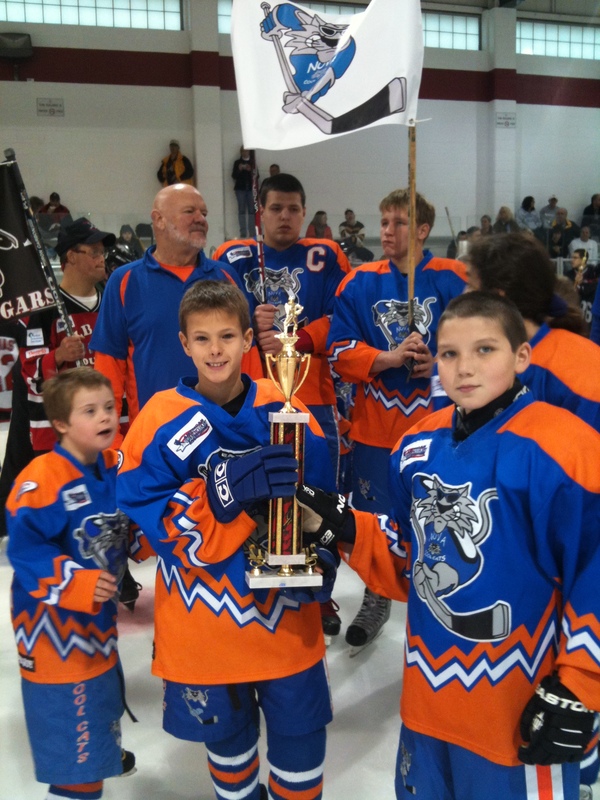 Each kid has improved and you can see it on the ice – chasing the puck, passing to a teammate, and scoring goals. Of course a highlight for us was Aidan turning 9 on Sunday the 28th. The Cool Cats braved the hurricane warnings for Sandy to squeeze in our last game, and rewarded with cupcakes for the ride home! We can’t wait to go back next October!